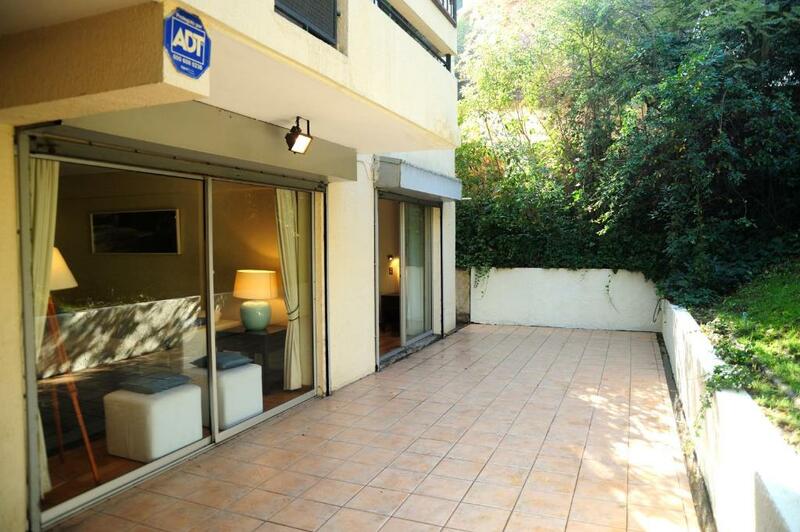 Lock in a great price for Apartamento Jardín EL Golf – rated 9.8 by recent guests! 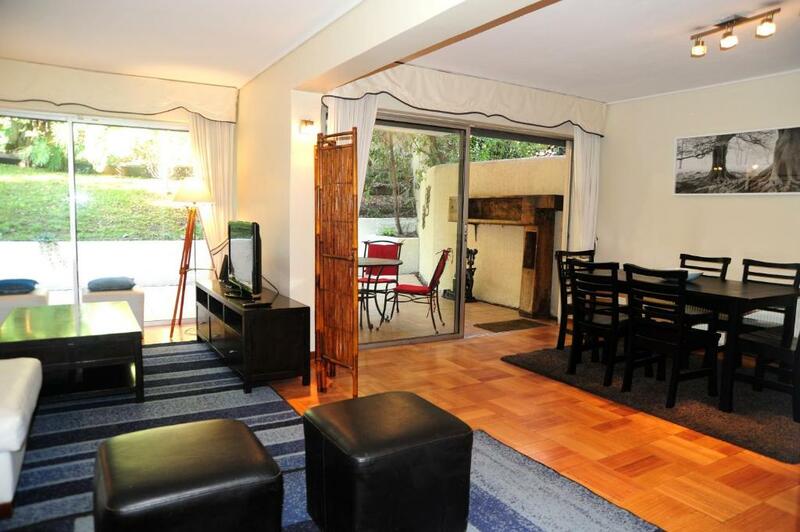 Featuring accommodations with a terrace, Apartamento Jardín EL Golf is located in Santiago. Guests staying at this apartment can use the fully equipped kitchen and a balcony. The apartment has 4 bedrooms and 2 bathrooms with a bath. A flat-screen TV is available. The apartment has a grill. A playground can be found at the property, along with a garden. 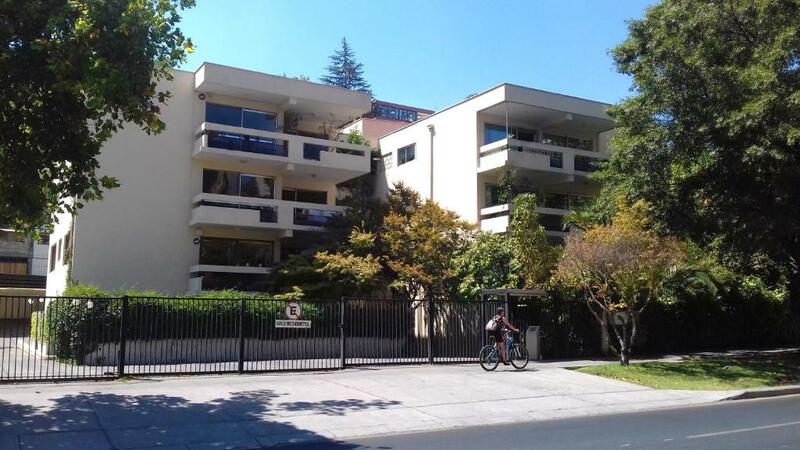 Costanera Center is 1.2 miles from Apartamento Jardín EL Golf, while Parque Bicentenario Santiago is 2 miles away. The nearest airport is Arturo Merino Benitez Airport, 14 miles from the accommodation. 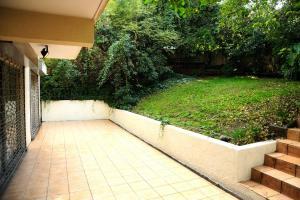 뀐 Located in the top-rated area in Santiago, this property has an excellent location score of 10.0! 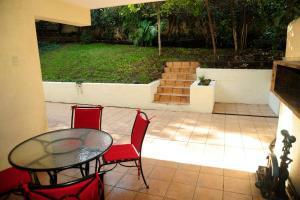 When would you like to stay at Apartamento Jardín EL Golf? This apartment has a seating area, stovetop and patio. Large apartment (140 m2), 4 bedrooms and with private garden of exclusive use. 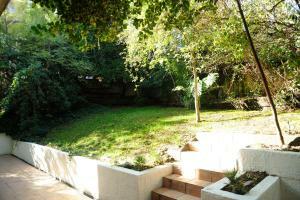 Large wooded garden (jacaranda, mandarin, lemon, orange, etc.) with barbecue area. Heating with individual boiler all the year. Located in the foothills of hill San Luis, the most exclusive sector of El Golf neighborhood, the best area of offices and leisure of Santiago steps away from subway station "El Golf" and Hotel W at Perú square. 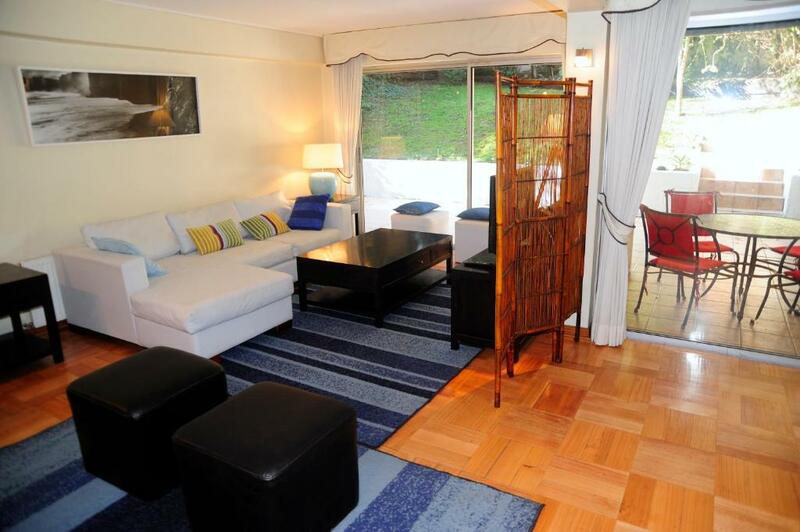 The apartment is near the Costanera Center mall (13 minutes walking). 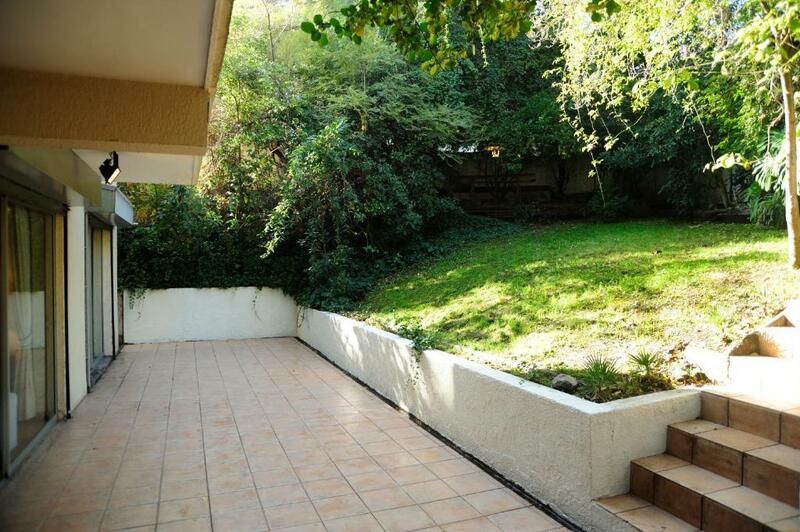 The apartment is on the first floor with a very large private garden with trees. The private garden has an area with wooden benches and absolute privacy (building of 4 floors, first floor and three upper). There are two lampposts in the garden with a switch in the double room. Both the living room and the double bedroom lead directly onto the paved terrace before the garden. Both spaces have electric blinds that leave the apartment fully protected when there is nobody inside. The apartment has the advantages of a house and the security that offers a building with concierge responsible in double shift. I am an Industrial Engineer and artist. I am a very happy person, social and honest. As a host I just want the experience of staying in my apartment to be unique and I wish you to return without hesitation. In order to this, I make all the possible to take care of the guests and I am online 24 hours a day, 7 days a week in case you need my help. Although I currently live outside of Santiago, my co-host and person of all my confidence is available at any time to assist you in everything you need. 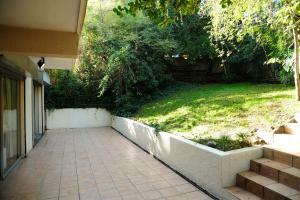 El Golf is the most safe and exclusive business and leisure neighborhood in Santiago. As a luxury residential neighborhood it has restaurants, cafes and first class hotels. The apartment is adjacent (4 minutes walking) to the Hotel W (restaurants, discoteque) and Isidora Goyenechea street with park, restaurants, steps away from "El Golf" subway station and near of the Costanera Center Mall (13 minutes walking) with cinema, shopping, restaurants, etc. House Rules Apartamento Jardín EL Golf takes special requests – add in the next step! Please inform Apartamento Jardín EL Golf of your expected arrival time in advance. You can use the Special Requests box when booking, or contact the property directly using the contact details in your confirmation.